The organisers of the 2018 Africa Aerospace and Defence (AAD) 2018 exhibition yesterday held a ceremony to mark the 100 day countdown to Africa’s largest defence trade show. The Commercial Aviation Association of Southern Africa (CAASA) is the main organiser this year. Leon Dillman, CEO of CAASA, said 2018 is a special year for AAD, as it marks 20 years of the show being in existence. Simphiwe Hamilton, Executive Director of the SA Aerospace, Maritime and Defence Industries Association (AMD) said AAD compares with other global exhibitions, but is the only show of this size, magnitude and complexity in Africa, with 500 plus exhibitors from over 30 countries. More than 80 000 people attended AAD 2016, including 56 000 general public and 33 000 trade visitors. Hamilton said he hopes more people will be attracted this year. One of the key distinguishing factors of AAD is its youth development programme, which Hamilton said touches the lives of youngsters not just during the show but throughout the year. 5 000 youngsters are expected to attend AAD 2018 as part of the youth development programme. Before Chief of the South African Air Force, Lieutenant General Fabian Msimang, delivered the keynote address at the Officer’s Mess outside Air Force Base Waterkloof, Dean Polley, the President of the Commercial Unmanned Aircraft Association of Southern Africa (CUAASA) flew a drone across the room carrying a ‘100 days’ countdown banner in what was a special moment. “It is now a matter of record, that AAD 2016 was a resounding success. Otherwise we would not be here launching the show’s tenth instalment as scheduled for the 19th to the 23rd of September,” Msimang told assembled guests. Msimang said that Africa is facing regional challenges that include conflict, piracy and poaching and facing these is key to strengthening democracy and promoting socio-economic development. He added that cyber warfare is threating countries worldwide and as a result at AAD a work session is planned to address cyber security. 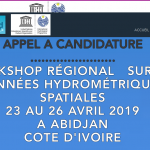 “AAD is not only a national and continental asset. AAD is also the means and the platform for sourcing the latest technologies, equipment, services and solutions whilst availing and exposing them to our partners. This ensures we are collectively enabled and empowered to cooperate and complement each other’s efforts in addressing the challenges as and when they arise. It is for this reason that we will continue to support and host this exhibition and to grow it into a bigger and better show well into the future,” Msimang said. As 2018 is Nelson Mandela’s centenary, Hangar 1 at Waterkloof Air Force Base will be renamed Madiba Hangar in honour of the first democratic commander in chief. 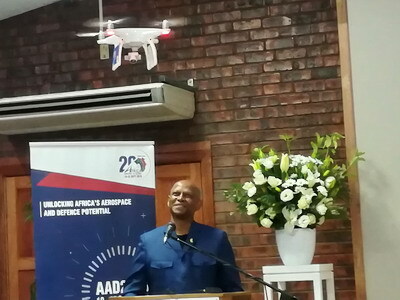 Msimang’s address was followed by a signing ceremony that included delegates from official carrier South African Airways (SAA), and host city Tshwane, which, were given special recognition for making the road to AAD possible. Kevin Wakeford, Chief Executive of state procurement agency Armscor, said that AAD reminds the political economy of South Africa that without a defence economy it is not possible to have a strong economy. He said that defence is a catalyst for high-end economic growth and is a major exporter. Wakeford said that the country needs a military because at the end of the day the military is about peacekeeping, disaster relief and protecting the sovereignty of the country. Later this year Defence and Military Veterans Minister Nosiviwe Mapisa-Nqakula will be launching the Defence Industry Fund and Defence Charter, which will then be gazetted by the Department of Trade and Industry. These initiatives resulted from partnerships with Armscor, Wakeford said. The theme of AAD 2018 is ‘unlocking Africa’s aerospace and defence potential’. An indication of the interest in the exhibition can be seen in the fact that 95% of indoor space, 99% of outdoor space and all the chalets have been booked out. There are 15 national pavilions and so far more than 30 aircraft have been confirmed, with many more expected. Several regional air forces will be bringing aircraft to the show, for static and flying displays. Also on Monday, the AAD 2018 app was launched, which is available for download from the Android Play Store and iTunes. AAD will take place at Air Force Base Waterkloof between 19 and 23 September, with two air show days to be held on the 22nd and 23rd.